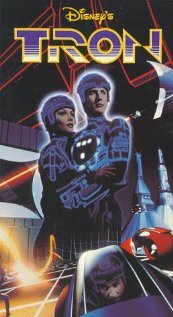 Business Movie Review: Tron (The Original and Legacy) - Brilliant Breakthroughs, Inc. Warning: These movies are content rich! Oh, there’s just so much good information here it is almost mind-boggling. Yet true to form, we will keep this oversimplified! Kevin Flynn (Jeff Bridge’s character) is a software engineer during the early days of engineering software. He is brilliant- a sheer genius he is, pardon the pun, light-years ahead of the game! Kevin is also a single father to a little boy named Sam. Kevin is nearing a pioneering breakthrough for software and is working almost around the clock with his team to produce. As with all good stories, something phenomenal occurs and alters everyone’s reality. No spoilers here! I will also add that it is such a phenomenal event that they were able to continue it into a sequel. Kevin Flynn didn’t have what we now call a work-life balance. He was obsessed. He spent little time with his family in order to fulfill his career goal. Often times it is the families of individuals who choose this. Kevin shared his “secret” with his son. Almost 30 years became quite useful, but until that point his son’s life was not fulfilling. Let’s remember that when we work, we work for a particular quality of life for ourselves and our families. Always remember what is important! Don’t become obsessed with work or a project. Ahhh, the years of wisdom shine through in this statement 🙂 Perfection is elusive and typically not what we think it is- don’t continue to develop your business of your products blindfolded! Often times when we work diligently to create perfection, we create some other quite surprising by-products… be careful and don’t get caught here like Kevin did! That’s right Mavericks may get there first, but they typically don’t win!!! So Batman had Robin, and the Lone Ranger had Tonto, who do YOU have? I almost don’t want to write anything after that question because you should stop and really think about who you have to assist you along your journey to success. … Did you think about it yet? … Hope so because this is a biggie! Do you have someone to help you when you are in uncharted territory to discuss strategies and desired outcomes? Do you have someone that you can bounce ideas off to help you co-create even better solutions? Hope so! If not, do so now!!! Thanks for the post Maggie. I agree with having support. I have several friends who support me, Barb, and then I also have a business coach. This is very important. Others sometimes can believe in us, even if we can’t believe in ourselves. The business coach can hold the vision with you of what your business can be…AND give you steps to achieve that. They have this bigger broader vision, of what your business can be. They have tons of business knowledge that I will never have. I always go back to this: Vision, Mission and Purpose This was the start of my offerings going from a hobby to a profitable business. It’s so awesome to hear that you understand the importance of your Purpose, Vision, and Mission Statements to build a strong successful business for yourself! And thanks for the coaching compliments! I’m so honored to help you build your successful business! 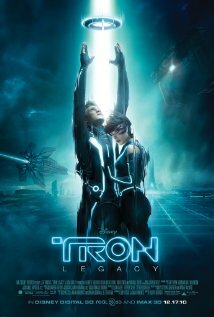 Cool info here…saw Tron 1 years and years ago….haven’t seen Tron 2…guess it may be worthwhile after all! 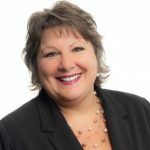 Good information here especially about maintaining a life separate from your business and the need for a support system. Blake, you will complete enjoy the 2nd movie- great personal and professional insights throughout the whole movie. Happy viewing!